Need help choosing an Android phone? 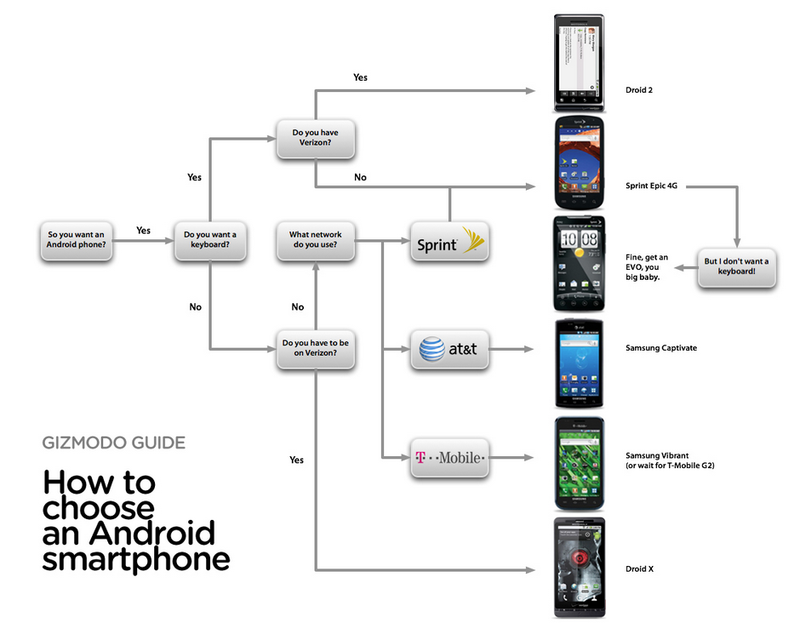 Gizmodo just created this handy little chart, which whether you like Giz or not, is spot on. The only thing I could really argue against is the T-Mobile selection. I’d say, screw the Vibrant and just wait for the G2 to come out (which I now realize it says) and then it would be about perfect. There could be an argument against the Droid X as being the best phone on Verizon, but it would be a hard one to win. Contest: Missed the Swype Beta Signup Period? We're Giving Away 50 Invitations!